Aniva Responsive Blogger Template is a simple yet stylish blogger template. Aniva is packed with many cool features. Our team have optimized aniva with the best seo techniques that will help you to rank well in the search engines. Aniva is suitable for all type of blogs. 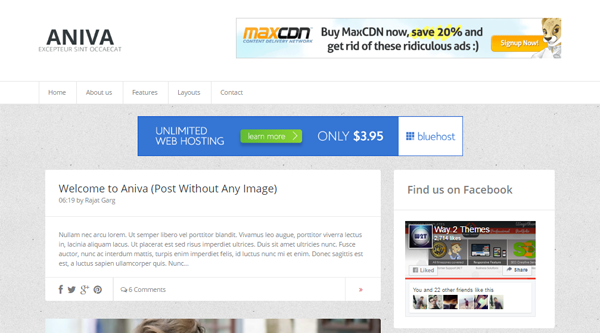 Aniva is 100% responsive layout and is completely retina ready blogger template. Aniva is also an ad ready blogger template that will help you to boost the cpc.Following are some of the key features of Aniva Responsive Blogger Template.